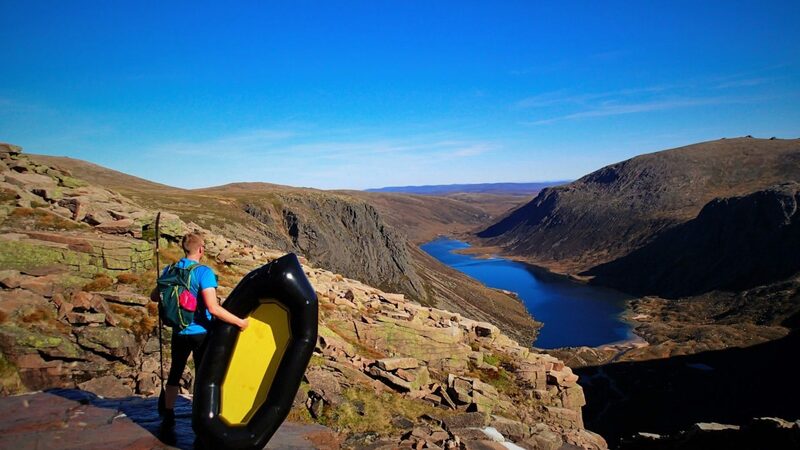 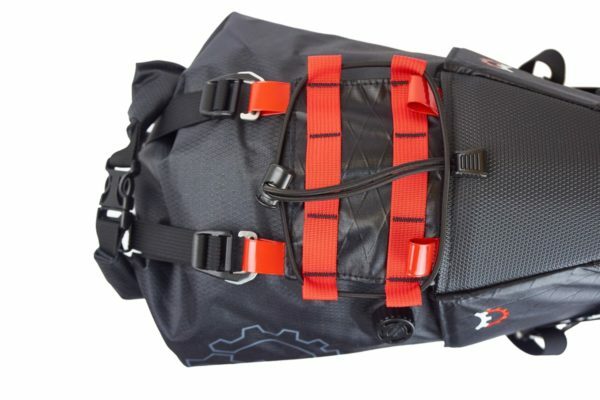 The go to Waterproof holster of adventureness! 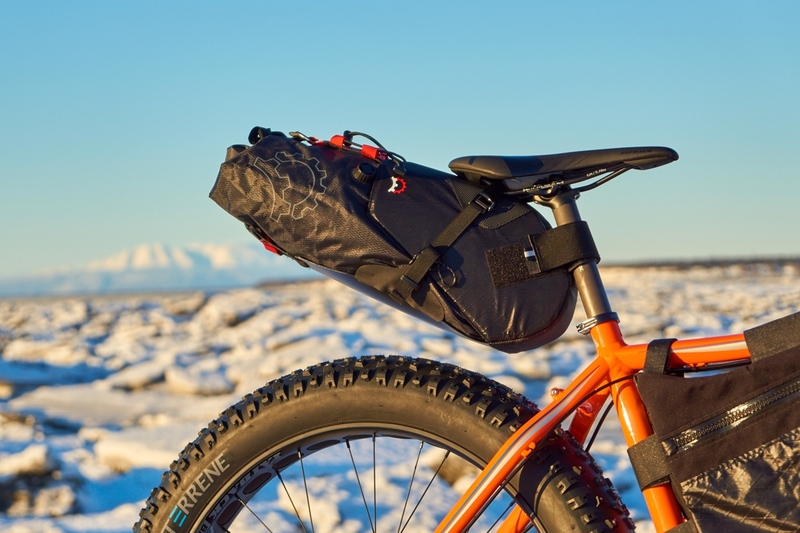 Adopting features from our award-winning 8L Terrapin® System, the redesigned 14L Terrapin® System features Revelate’s exclusive Indie-Rail attachment system. 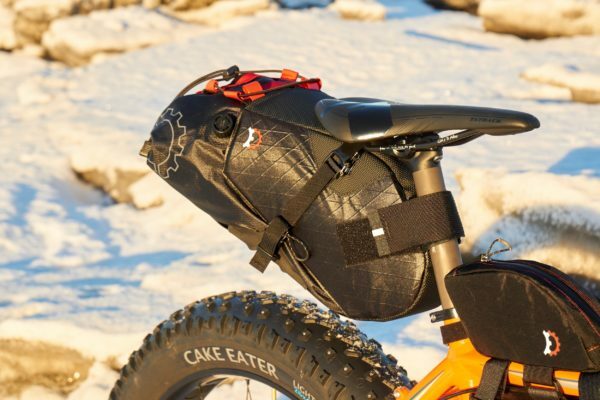 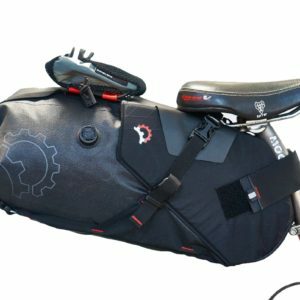 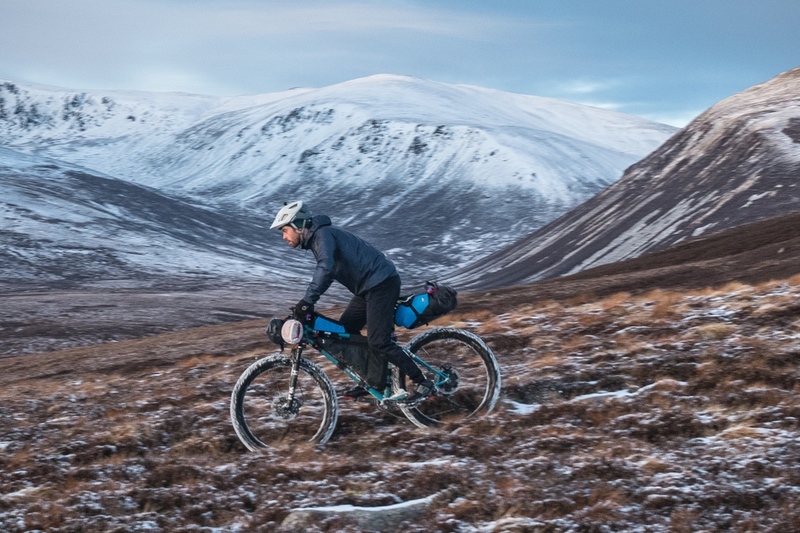 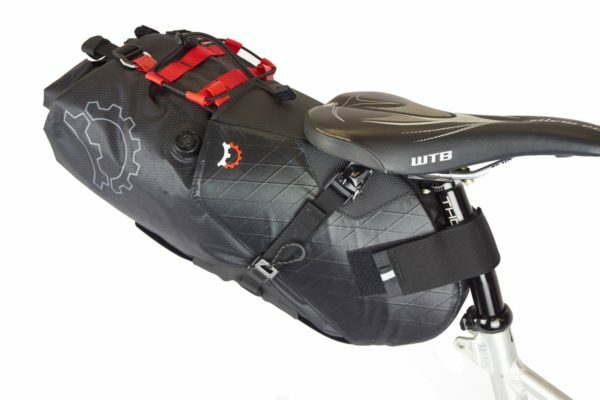 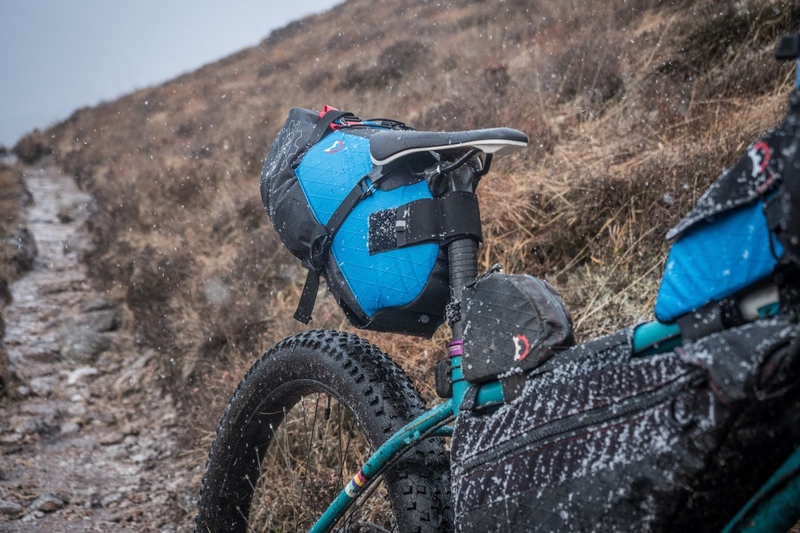 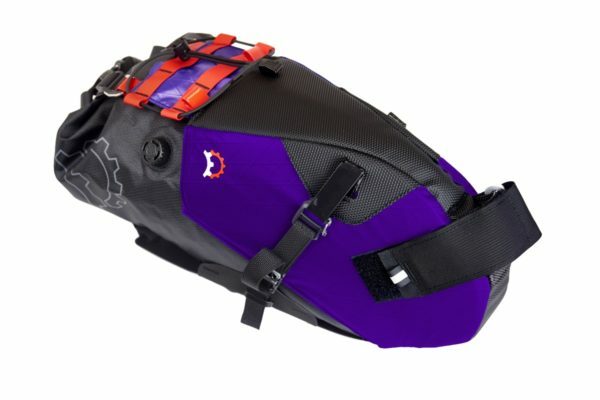 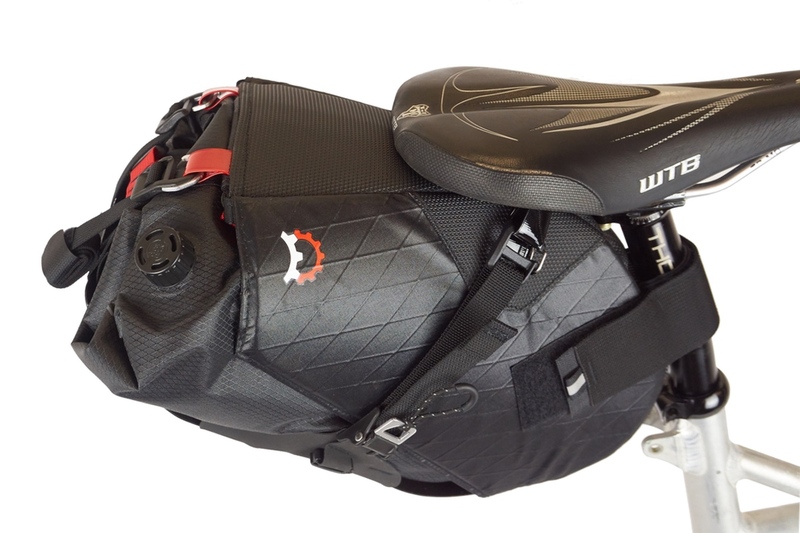 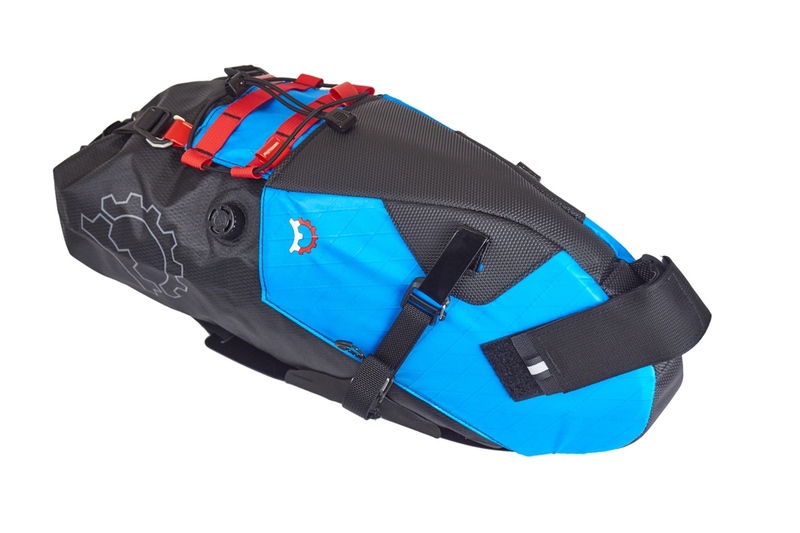 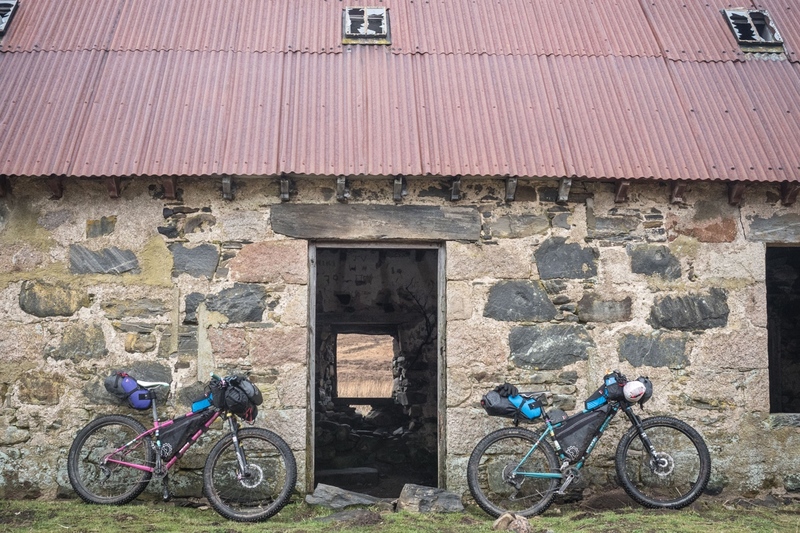 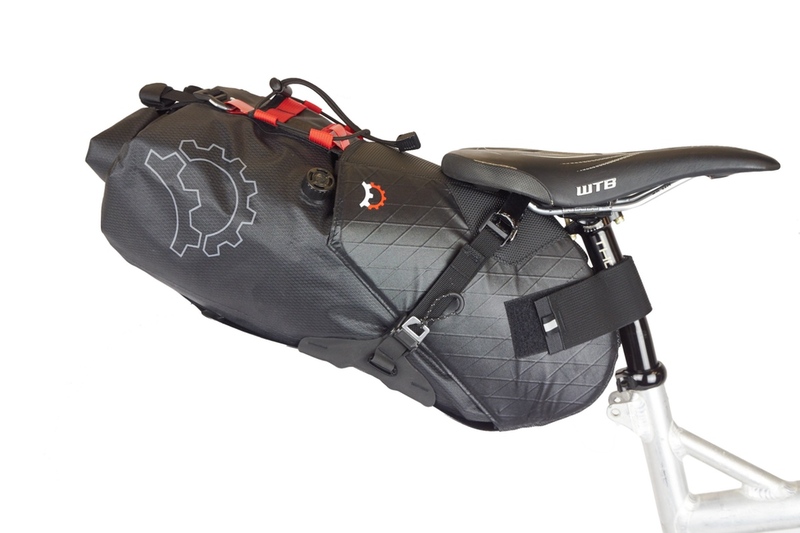 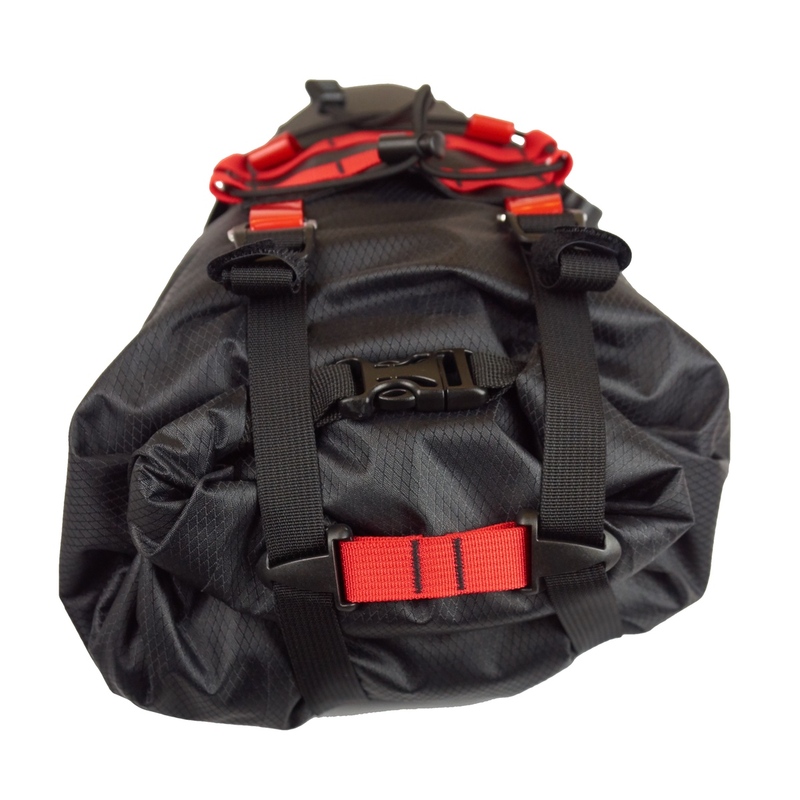 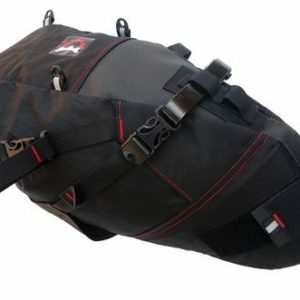 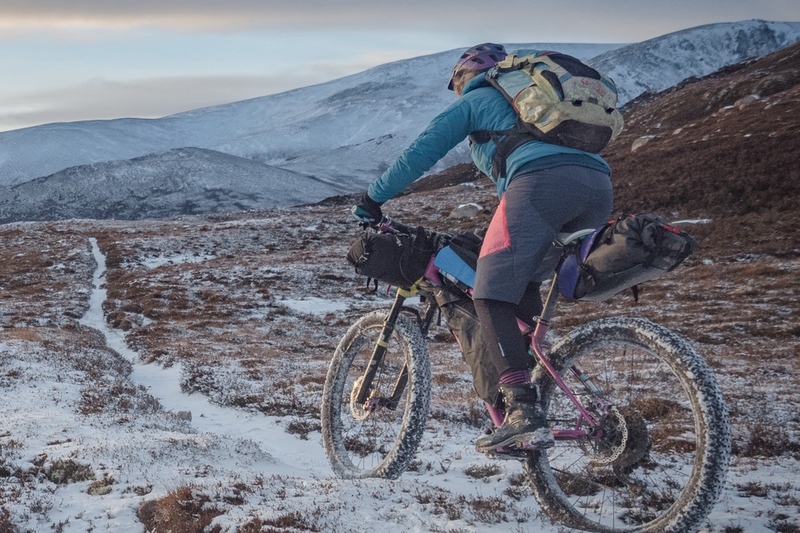 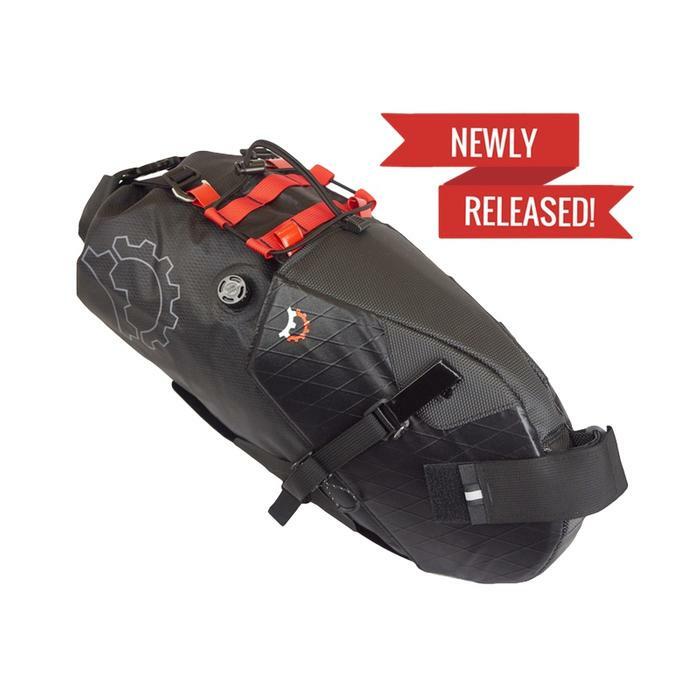 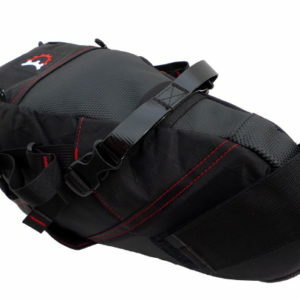 A progression from conventional bikepacking bag mounts where the rail straps are fixed to the top center of the bag, with Indie-Rail each saddle rail is cinched down hard to the sides of the bag. 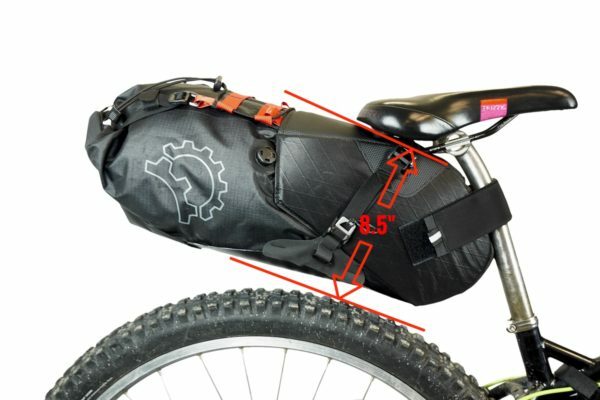 This feature virtually eliminates side to side bag sway without the need for external hardware. 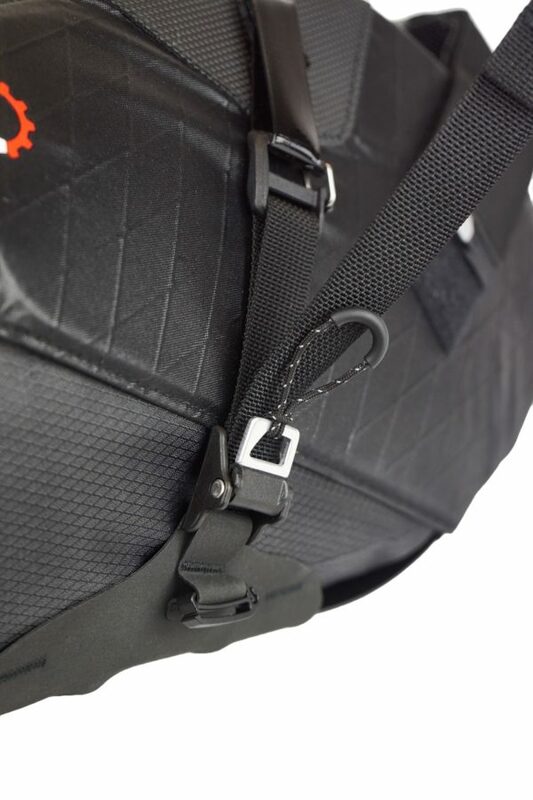 This is combined with a rigid internal structure and active cam buckles to prevent straps from slipping on rough terrain.